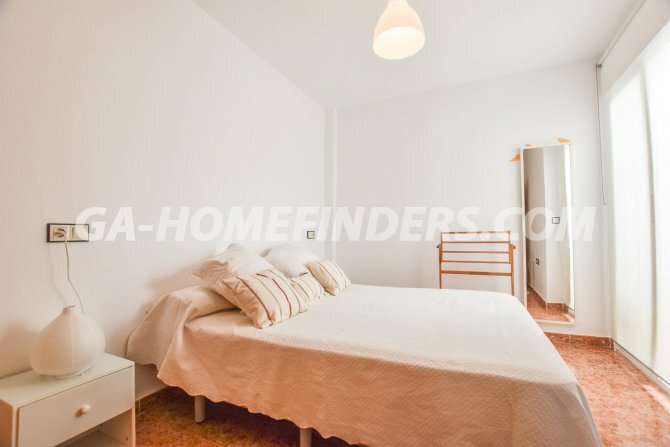 Ground floor furnished apartment, with 2 bedrooms which both have fitted wardrobes and 1 bathroom. 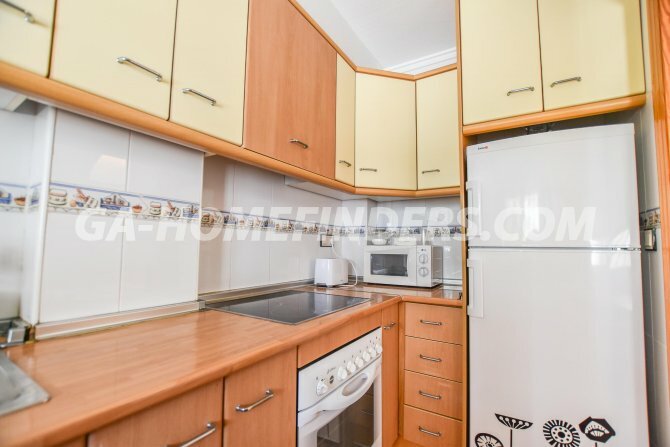 It has an independent kitchen with all the appliances. 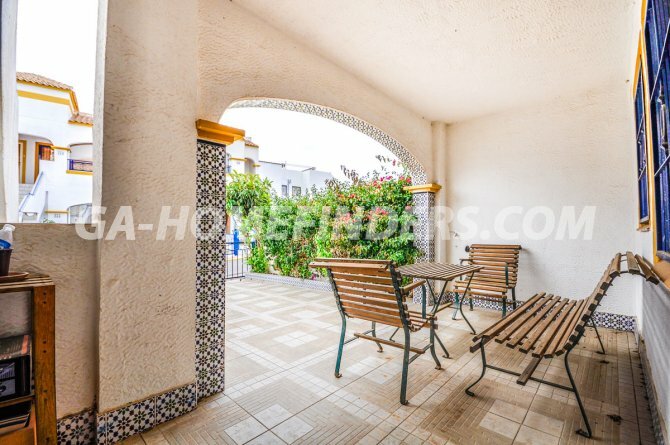 At the entrance of the apartment there is a large terrace and a covered porch area. 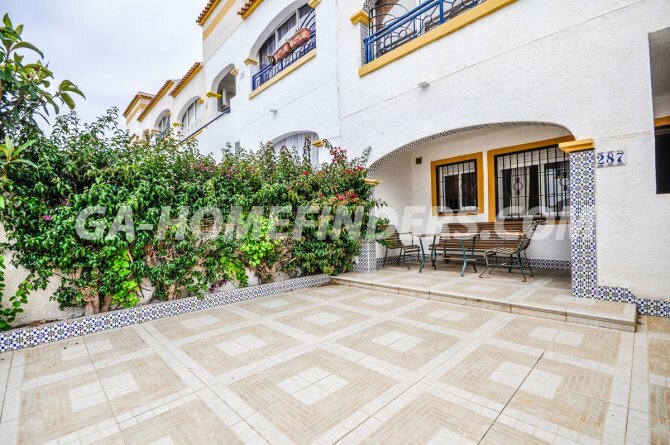 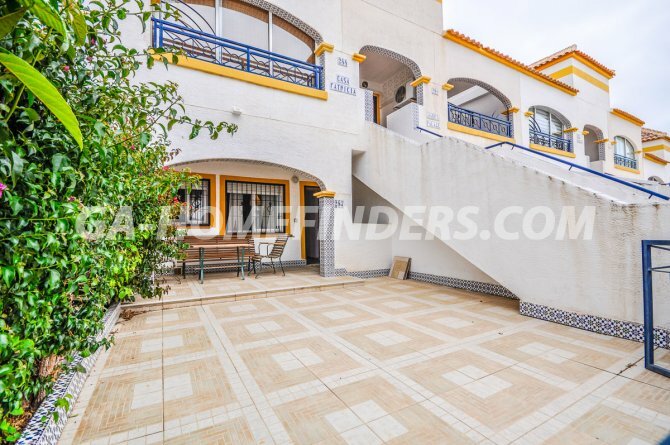 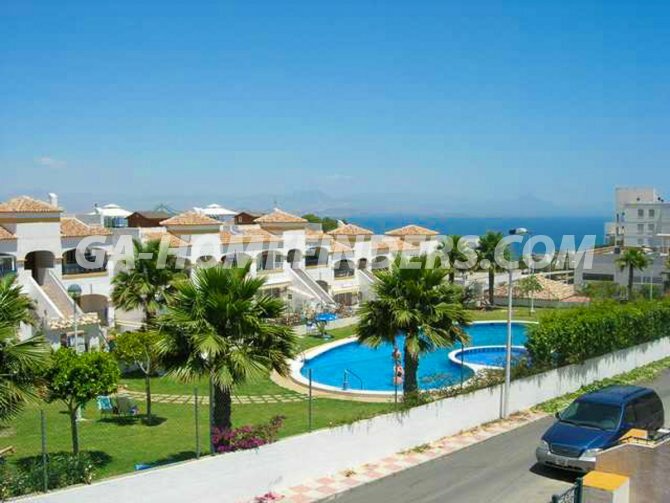 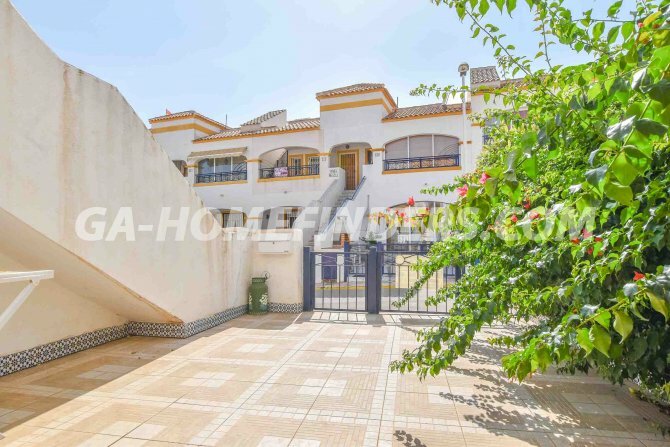 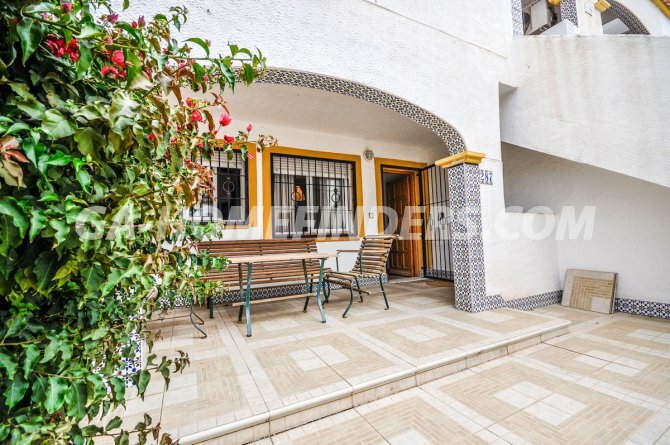 It is situated in a gated community in the upper area of Gran Alacant which benefits from 3 community pools surrounded by spacious green areas. 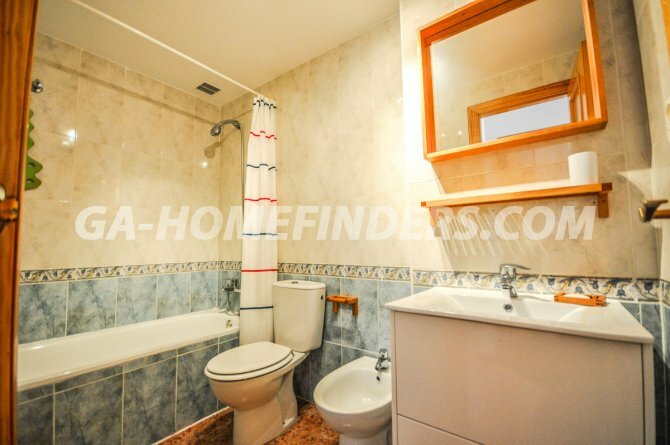 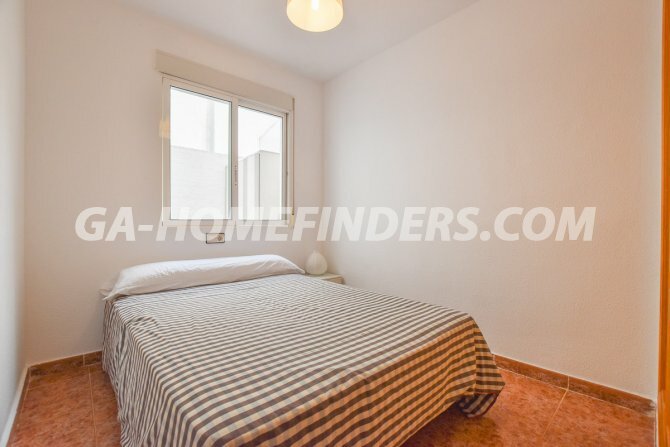 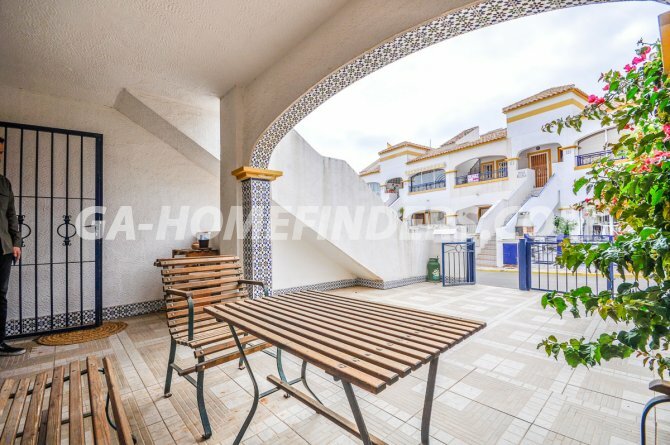 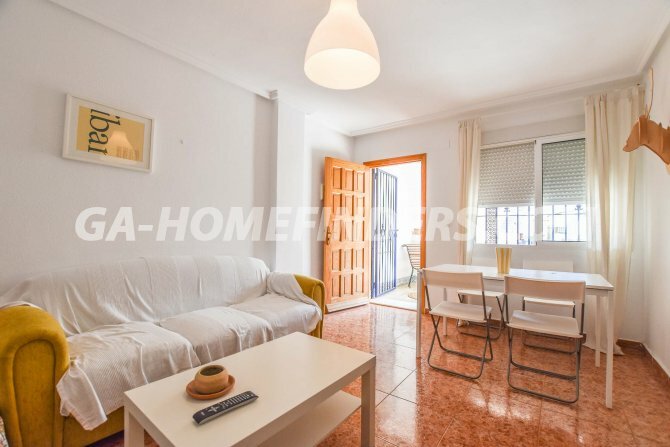 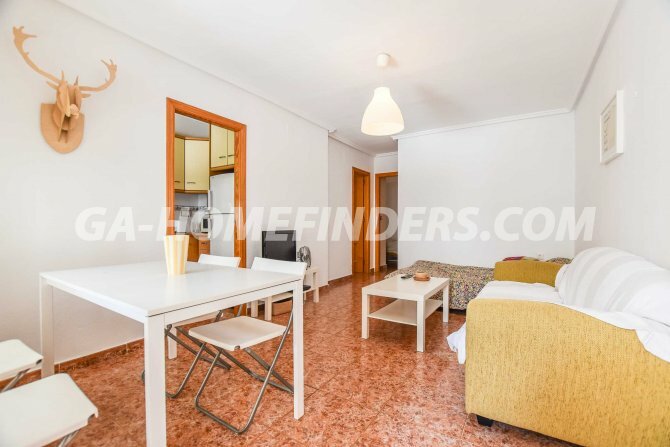 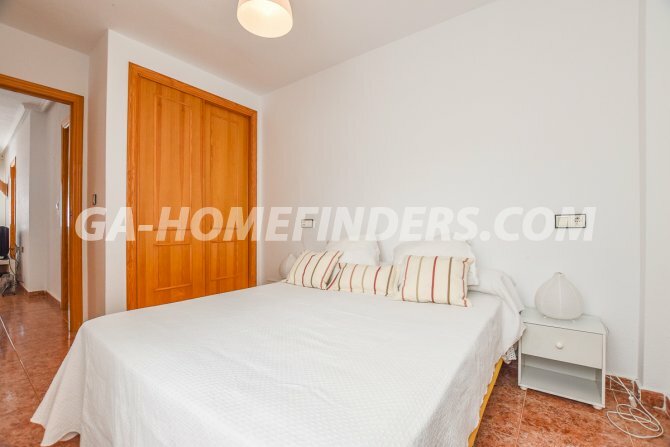 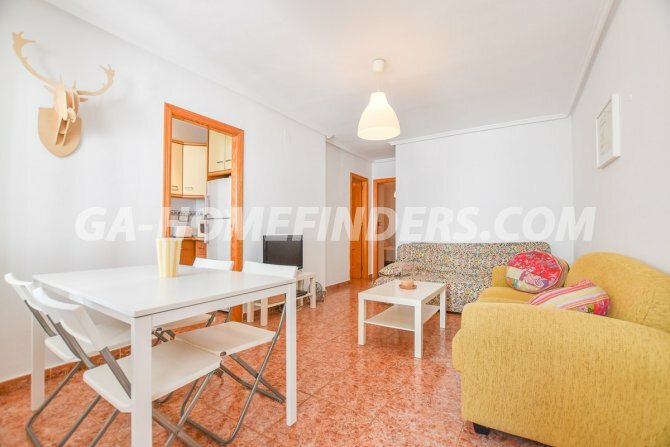 It is within walking distance of a range of restaurants, shops, banks, access to public transport, the Gran Alacant sports centre, and the local Thursday morning market. 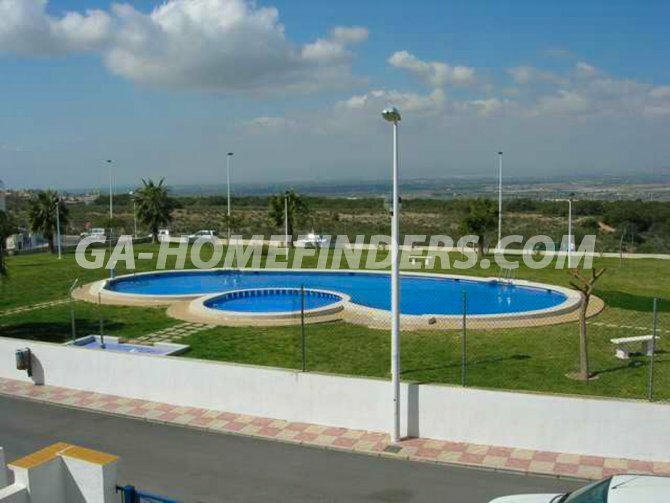 It is less than 5 minutes by car from Carabasi beach and about 5 km from Alicante airport.